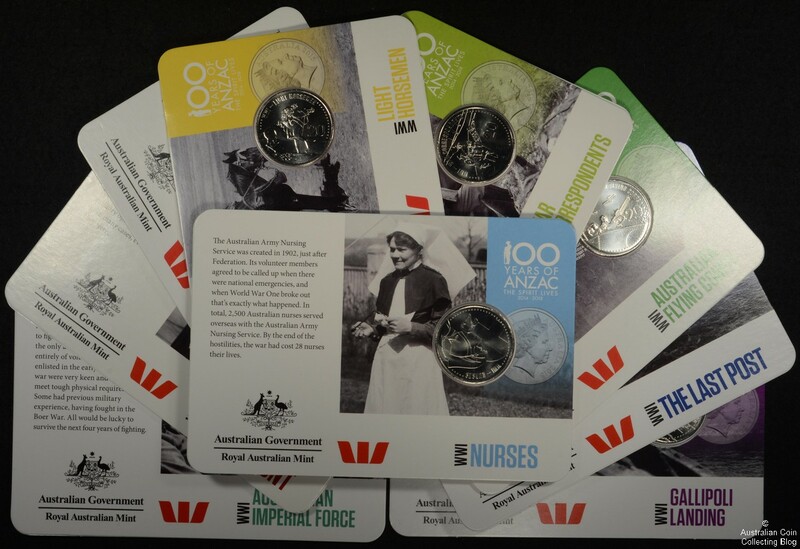 News Corp Australia in conjunction with the Royal Australian Mint have released a 14 coin set commemorating 100 years of ANZAC, keeping the ANZAC stories alive. The official coin collection was available in the complete set to subscribers with a special exclusive extra coin (more on this later) and individual coins were available every day of the promotion with the purchase of a News Corp paper. News Corps national network of newspapers include The Daily Telegraph, Herald Sun, The Courier-Mail and The Advertiser in Adelaide. The first coin in the set, WWI 1914-1918, came free (using the token) with the purchase of a newspaper on Saturday 11th April. With this, collectors received a free collectors album to house the coin collection. AFL matches played that weekend used this first coin in their coin toss! The remaining 13 coins were released each day until April 24 at a cost of $3 per coin. As a fundraising appeal for Legacy The Westpac Group donated $500,000 and as such were associated with this release raising awareness, sharing stories and keeping the ANZAC stories alive, which is the essence of this campaign. The implication was that part of the $3 coin cost would be donated to Legacy but this is not correct. 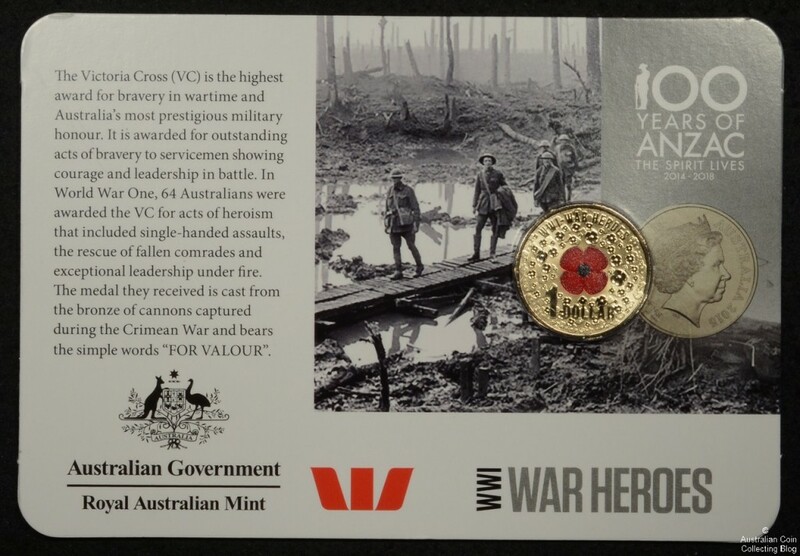 The bonus coin mentioned earlier is the 2015 1 dollar coin with a red poppy printed in the centre of the design and is named ‘War Heroes’, the 15th coin completing the set but was initially only available to those with newspaper subscriptions. Hence, a lot of people joined up and a freshly printed newspaper flew into our front yard early this morning. I’d imagine a lot of newspaper subscriptions will be cancelled in the coming weeks. It’s also come to light that there has been a dealer allocation of these coins. This coin is the most sought in the set. A complete list of the 20 cent coins issued is below. Because of the way these were issued it’s very likely some of these coins will find their way into circulation although they have been intended solely for the collector market (NCLT). Examples of the first coin WWI 1914-1918 (which was free to everyone who bought that issue of the newspaper) have already turned up in change.